Riding a kayak around is one of the easiest and funnest ways to get some quality time on the water. What’s the only thing better than riding a kayak? Fishing from one, of course and light lure fishing is particularly suited to this method on both fresh and saltwater. 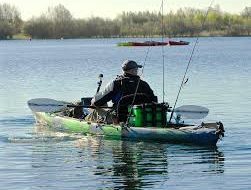 The complete autonomy of kayaks plus the lack of loud engine makes fishing from a kayak different than any other kind of fishing plus a big enough fish will even probably end up moving you around a little. This results in some pretty fun times on the lake that you’ll be sure to remember forever. Of course, it isn’t quite the same as fishing from shore. The major windup and two handed cast just isn’t particularly feasible on the kayak given your limited amount of room and how easily you’ll end up throwing your whole body & kayak around. It’s a pretty risky move to throw all of your weight around like that inside of a kayak, so a gentle one handed cast will be your new best friend. And you certainly need short rods. Long rods in a kayak spells rod breakages! Interestingly enough, if your bait is heavy enough to create some resistance while you’re reeling it in, you’ll end up gently directing your boat in that direction. So if you’re in a lightweight kayak and casting out a heavy crankbait or spinnerbait, you’ll notice your kayak slowly tending towards the direction of your casts. If you cast tactically, you’ll always be in the perfect window to catch some lurking giants. Much like how you’ll have to learn how to cast with one hand, you’ll also have to learn how to paddle with one hand. Once the rod is set up and ready to go, there won’t be much place for you to put it, especially if you have a fish on the line. Some of the kayakerguide articles here show off different paddles, and when they’re best used. You won’t always have the benefit of a short paddle in hand, this means learning how hold a two handed paddle against your body to move the kayak around while your other arm is busy with the rod. With no motor kayak anglers can drift quickly into lagoons without disturbing wary fish. Moving a kayak around is entirely up to your individual paddling ability and endurance. If you end up stuck in heavy currents or fishing on a particularly windy day, you’ll end up expending much more energy than you would otherwise make any significant progress in moving around. To properly save energy and mitigate the issues caused by wind and current, make sure to stay close to shore so you can cover as much ground as possible as opposed to paddling out right in the middle of the lake. Kayak fishing is different and presents its own set of challenges, but it is rewarding all the same. 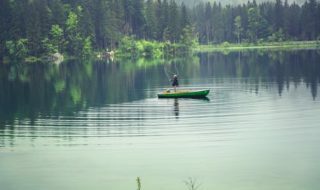 Instead of having to buy fuel and focus on all of the issues that come along with using a proper boat, fishing from a kayak is simple and fun. 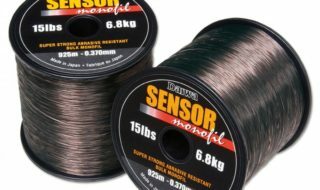 It can be used on fresh and saltwater and allows you to access places beyond casting range and in hard to get to places, which is of course where those big fish might well be holding up. Of course safety is paramount, inluding a lifebelt at all times. After that, all you need to do is grab your rod and tackle, hop in the kayak, and get out there. So what are you waiting for?